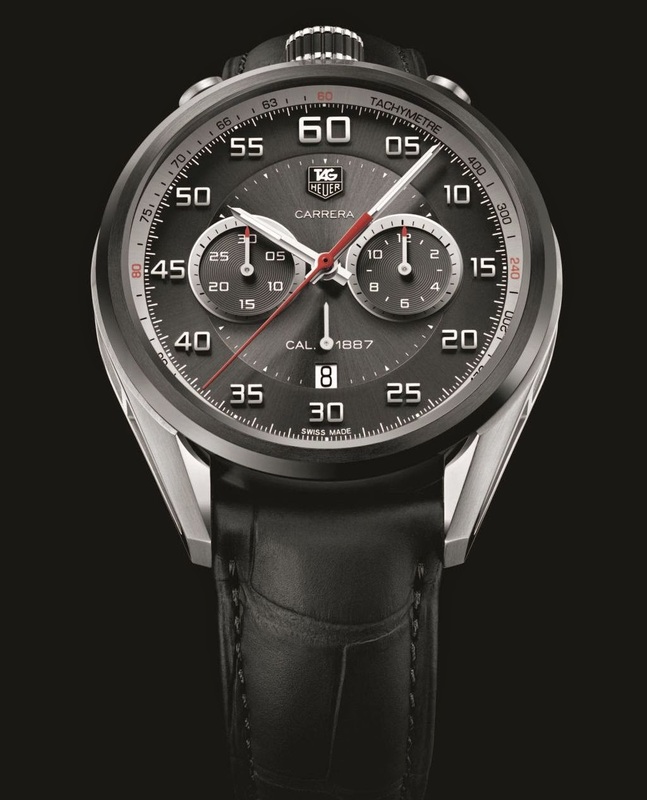 This spectacular chronograph takes its design cues from Heuer’spionneering dashboard timers and the TAG Heuer Carrera Mikrogirder, winner of the “Aiguille d’Or”—the highest award in Swiss Watchmaking—at the Grand Prix d’Horlogerie de Genève in 2012. Classic stopwatch and car-racing aesthetics inspire its black dial with sunray effect and hand-applied Arabic numerals, and chronograph sub-counters with silver polished outlines. The 45mm case is in polished, fine-brushed and sandblasted steel and titanium, with black titanium-carbide coated fixed bezel and sides. The smoked sapphire caseback puts the daring in-house Calibre 1887 movement on display. 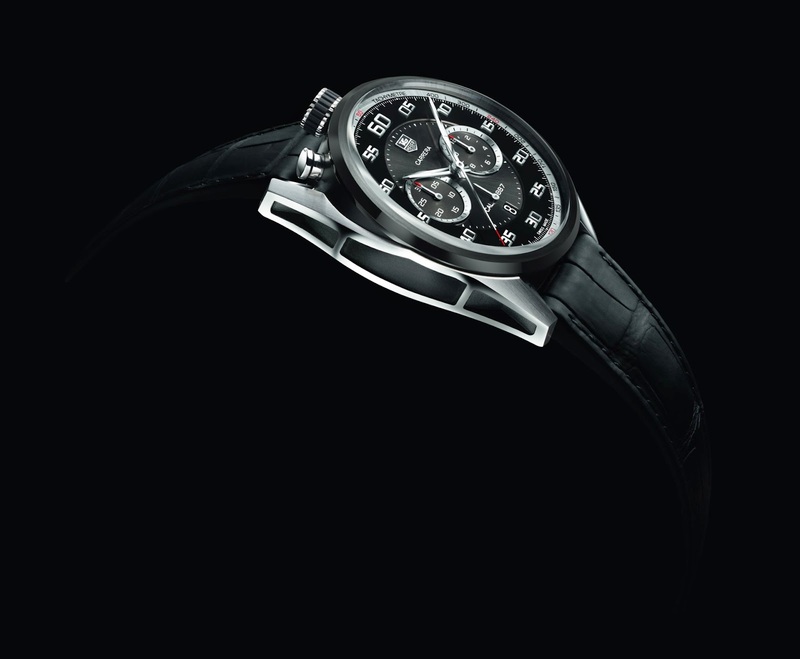 The strap is in soft-touch black alligator, with black titanium folding clasp and safety pushbuttons.